The National League Central is stacked when it comes to retired numbers, and it's not just because there are six teams. 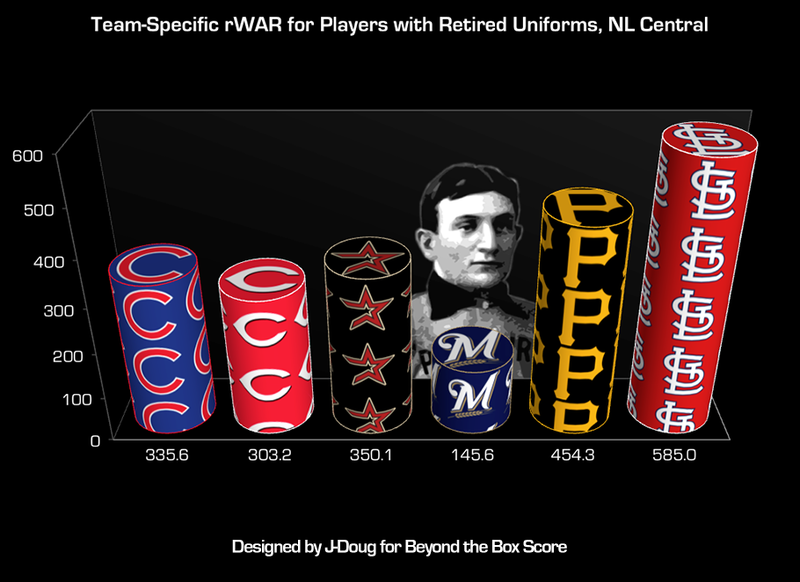 NL Central teams have retired a total of 44 player jerseys accounting for a staggering team-specific rWAR of 2,173.8. Even when pro-rating these figures to a five team division, the Middle American Senior Circuit outpaces all rivals.